A casino night can be a great opportunity to get players excited and competitive! 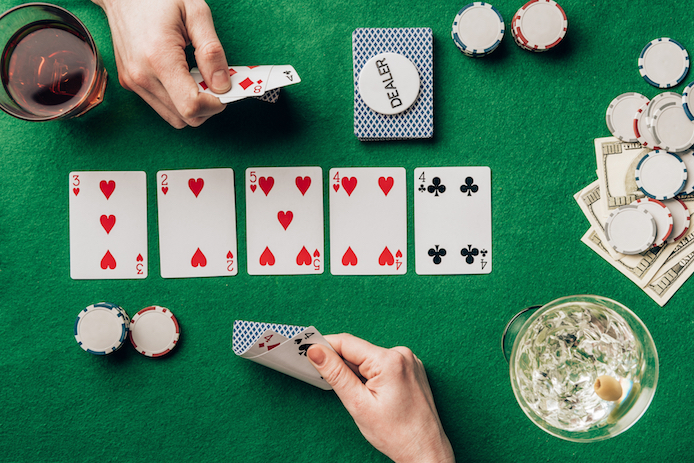 Leave real gambling to the real casinos, and use these fundraising "casino-style" nights instead to raise money for a cause all while laying chips on the felt. Running a casino night takes volunteers! You will need people to run the games. Designate specific volunteers for each game and make sure they are thoroughly trained in running their specific game. There are a few different ways to raise funds during a casino night. You can begin by charging a fee for entry to the event. Also consider charging for chips – they will have no monetary value, but they can be used to win prizes. An alternative to both of these is to do a “play by donation” where each game station has a donation box (great if you are supporting various different causes) and players donate on their own accord. To determine prize winners, you have a few options. You can give prizes to those who end up with “the most money” at the end of the evening, by counting chips. You can also give the winner of each game a raffle ticket, and draw from the tickets at the end of the night. In order to allow players to pick their prizes, have a “silent raffle.” Players write their names on papers and exchange chips with volunteers in order to drop the papers into designated baskets to win individual prizes. Host a poker night for just the ladies or the gents! If it’s for the ladies, incorporate details such as cocktails, champagne, and fake pearls to give off a high-stakes vibe. If it’s for the gents, serve whiskey and scotch and have smoky charcuterie boards ready for tasting. For a fun theme, do a speakeasy. Request that the ladies don their boas and feathered headbands, and that the men wear suits. Have a scotch bar and jazz music and let the dice roll! Have guests bring their partners in crime to play card games as teams. Scramble the couples throughout the night so that everyone gets to mingle! For example, couples 1 and 2 play blackjack, while couples 3 and 4 play roulette. Then, swap so that couples 1 and 3 play blackjack, and couples 2 and 4 play roulette. Alternate in patterns so that nobody plays the same game more than twice in a row! Looking for something more family friendly? Read last week’s post, Event Activity 1: Game Night!